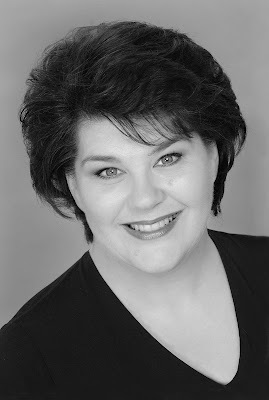 Earlier this year the opera world lost one of its brightest stars, the inspirational Australian Soprano, Deborah Riedel passed away in January after a 10 year battle with Cancer. The news hit all singers in Australia and many overseas very hard as few people knew that she was so ill. I first met her in the mid 80's when she gave a concert in Melbourne with other members of the Australian Opera ( Opera Australia today) Chorus at the Wesley Church in Melbourne. Donald Solomon, an old friend of my parents introduced us all to her. From that moment on I was an admirer of her work and was captivated by her lovely, warm nature. Here I was not alone. She was truly universally loved...an example to us all. Years later she returned to Melbourne to sing Leila in the Pearlfishers and later had a triumph as Marguerite in Ian Judge's brilliant production of Faust both staged by the Victoria State Opera and conducted by Richard Divall. Like many of my contemporaries I rated Deborah Riedel as one of the great singers of her generation. When I first heard her she had a beautiful warm Mezzo-Soprano voice. Later she made the change into a full lyric Soprano and so began a major International career. She enjoyed the support of Dame Joan Sutherland and Richard Bonynge who conducted many of her greatest triumphs some during her courageous 10 year battle with cancer. Her loss at such a young age is so cruel for many reasons. Some of her greatest work especially her Sieglinde in the State Opera of South Australia's historic Ring Cycle (note: Her Siegmund was the Tenor, Stuart Skelton currently singing Peter Grimes for ENO) was during this time. LLO began this tradition when I dedicated LLO's concert performance of The flying Dutchman at the Barbican to my late father, Eric Hancock and followed this by dedicating Fidelio to a dear German lady, opera lover and supporter, Edith Kraus. I wrote an email to the cast asking them for suggestions and her old friend and colleague Jeffrey Black (Frank in Die Fledermaus) wrote back suggesting Deborah Riedel. Dedicating these performances is a small gesture but we hope it will offer comfort to her husband the tenor, Paul Ferris (who will be attending one of the performances) and also encourage members of our audience to give to one of the charities that we support, Marie Curie Cancer Care whose work is so important.